Find out the tips, tricks and secrets of ear health. Money Saving Tips – Find out the secrets of saving money on your aids with these tips and tricks. Aids can last several years with proper maintenance and care. You may not need to replace them with these tips. 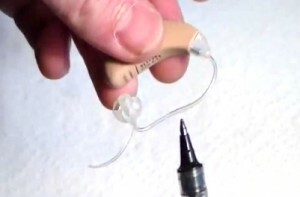 Hearing Aid Product Comparison – See our devices side-by-side and helpful how-to’s on the products. How To Videos – includes information on how to understand a Medical Audiogram hearing chart, how to use a T-coil telephone system on a BTE hearing aid, how to use a telephone with any aid, how to re-tube a BTE (Behind The Ear) aid and how to replace a broken battery door. Why You Hear, But Don’t Understand – See why words sound mumbled and learn how you can improve your hearing. Find more resources at our Knowledge Center.